Delegates are at the UN negotiating a treaty regarding the world’s most corrupt and corrosive trade. What could a global arms treaty mean for Africa? Down the barrel of a South African gun. Photograph by Dan Maudsley. A cluster of thatched makuti huts looks out over a vast grassy landscape in Kenya’s semi-arid Tana Delta region. This is the village of Kipao, still recovering from a raid two months ago in which men from the neighbouring Pokomo community set fire to 45 houses. But the raid may not have ended in 32 deaths had it not been for the arsenal of AK-47s the men carried with them, most of which would have come from illegal gun-runners working a route that winds its way across Somalia and Ethiopia before crossing into Kenya. “Most of [the guns] don’t actually have [serial] numbers, so you can’t say which country they came from”, says Kenyan journalist Kassim Mohamed, but he suspects they are of Russian, Chinese, or Ukrainian origin. Incredibly, international law currently has firmer rules regarding the trade of commodities like bananas and electronics than it does conventional arms. That is why delegates from around the world are currently at the UN headquarters in New York to discuss a new Arms Trade Treaty (ATT). If passed, the ATT stands to regulate arms transactions and could throw a wrench in the works of the complex trade networks that, while not responsible for the 32 deaths in Kipao, act as enablers of violence where tensions are already near boiling point. Developing nations have long dominated arms sales agreements, accounting for nearly 85% of agreements in 2011. Meanwhile, the US and Russia top the list of the world’s biggest arms exporters, with France and the UK following behind. “This expenditure has profound impacts on the world we live in”, explained anti-corruption activist and former South African parliamentarian Andrew Feinstein at a panel discussion, “from the enabling, fueling, and perpetuation of conflict, to the corrosion of democracy in both buying and selling countries”. According to some research, the global arms trade accounts for a staggering 40% of all corruption in trade around the world. “Arms deals stretch across a continuum of legality, from the official or former trade to the grey and black markets”, said Feinstein. And developing countries are often where weapons that have entered the “shadow world” of arms transactions end up. African states have shown strong support for an ATT covering a broad range of weapons, including small arms and light weapons (SALW), and most African states have signed onto legal agreements regulating SALW. After all, it is these small arms that can filter down to the civilian level most easily, are most transportable and most abundant. A number of African countries have therefore thrown their full weight behind the issue. In a statement made on behalf of the East African Community during the 2011 treaty preparatory meetings, Burundi said it “strongly supports the inclusion of Small Arms and Light Weapons and ammunitions in the future Arms Trade Treaty (ATT)”, while similar statements were made by the Economic Community of West Africa and in Central Africa’s Common Position on the Arms Trade Treaty. But not all African countries are on the same page regarding SALW. Egypt, for example, has indicated that it does not want SALW included in the ATT, citing concerns that North African states may not be able to defend themselves in the midst of a volatile Middle Eastern security environment. Egypt’s dissent reflects the rift between northern African states and sub-Saharan Africa on the ATT. 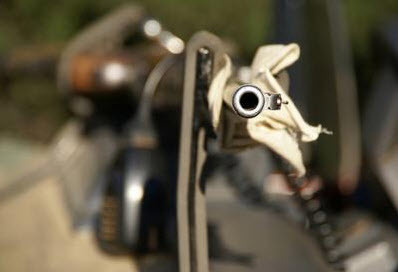 The current legal obligations African countries have agreed to regarding arms exist mainly in the Great Lakes region, the Horn of Africa, West Africa and Southern Africa – the regions most affected by illegal arms transfers. According to Adotei Akwei of Amnesty International, removing civilian arms from the ATT “would basically render the treaty useless”. Another point of disagreement that could undermine the ATT is between advocates of a treaty and certain major arms exporting nations. Indeed, the 2001 UN-backed Programme of Action on Illicit Trade of Small Arms and Light Weapons was severely limited by the fact some of the world’s major arms exporters did not agree to it. Similarly, efforts in 2006 fell apart in part due to the US’ reticence to sign onto any multilateral treaty. Indeed, as Kassim Mohamed says, “It’s the weaker countries in Africa that are feeling the effect”. And so far, not enough is being done. The gunrunners Mohamed has interviewed in Kenya and Somalia are not unlike the entrepreneurs who deal in legal markets, he says. “He was just a business person, another common man”, Mohamed recalls about his encounter with one of Kenya’s major illegal arms barons. The global arms trade may be the most corrupt industry in the world and one of the most sprawling, complex and shady. And advocacy groups all agree that a treaty will only be worth passing if it contains all the necessary components to make it a strong tool in combating the proliferation of SALW; “if the treaty itself is not strong, it’s not worth having”, says Abramson. Campaigners are also aware that even if new regulations are passed this month in New York, their impact may not be felt for months or even years. But for now, the international human rights community has put their faith in the ATT being clearest path to defeating the laissez faire weapons industry that facilitates human rights abuses, insecurity and instability. And despite the numerous setbacks in the treaty process in recent years, there is a renewed sense of hopefulness about the ongoing conference.